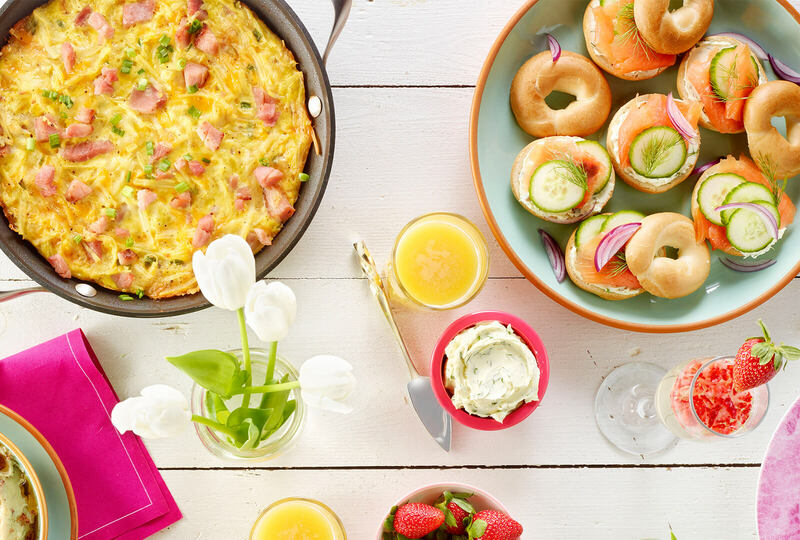 Whether you’ve been enjoying the weather or you’re patiently waiting for the last of winter’s snow to melt, these tasty brunch treats are sure to help you think spring. 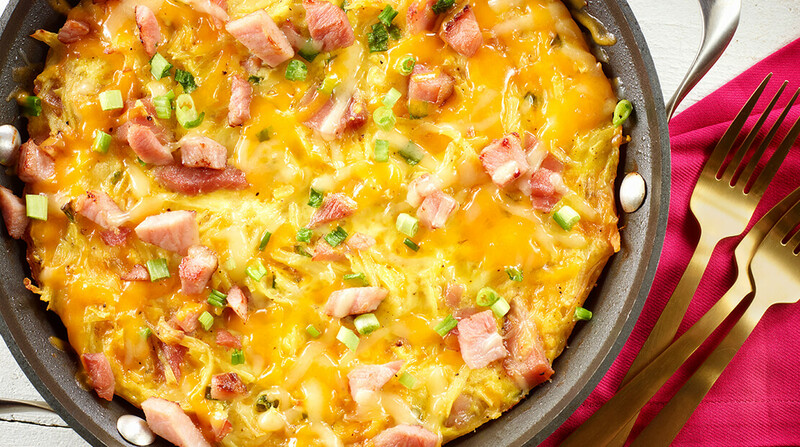 In large bowl, stir together potatoes, eggs and next 7 ingredients. Transfer mixture to a lightly greased 2-quart baking dish. Bake 30 minutes or until eggs are set. In medium bowl, stir together cream cheese and remaining ingredients. 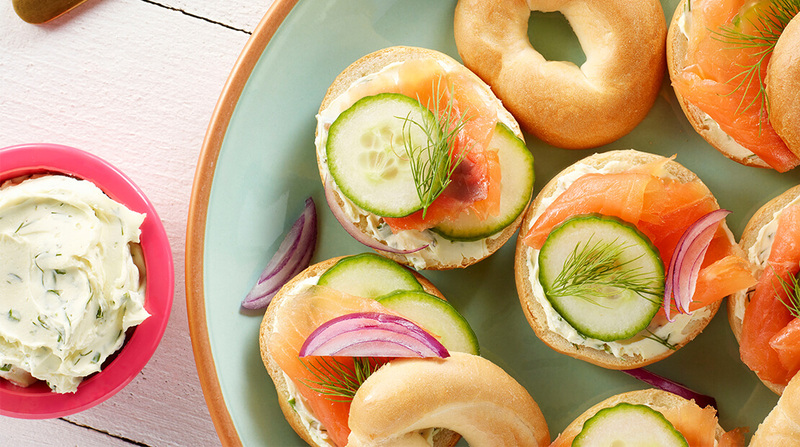 Serve over toasted bagels, with smoked salmon, red onion slices and dill sprigs. In medium bowl, stir together butter and remaining ingredients. 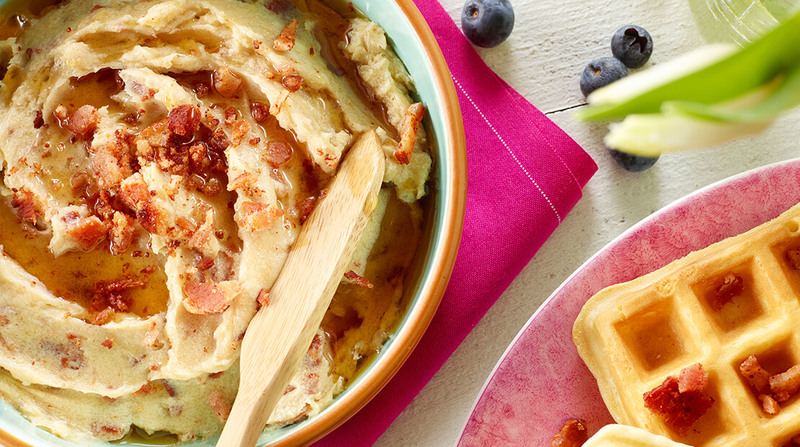 Serve over waffles with additional crumbled cooked bacon.